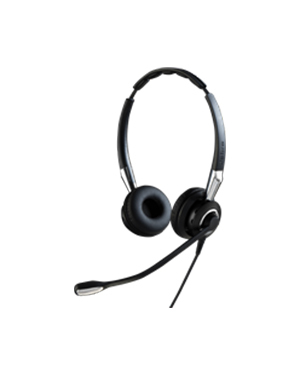 The Jabra BIZ 2400 II Duo USB Headset is a headset that can be connected to a standard unified communications softphones. It offers mic. 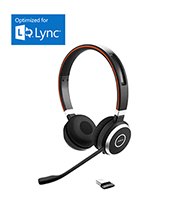 82 noise cancellation, both Bluetooth and USB connectivity, and unified communications. This improved version of the headset is 40% lighter compared to other headsets and can be more comfortable to be used for a longer period of time. This is what makes the device perfect for contact centre agents, together with its soft leatherette ear cushions and headband and its conveniently flexible microphone boom arm. Purchase this product and have it delivered right at your doorstep! Call Australia wide 1300 131 133 hotline today! Jabra is a top-notch enterprise that was founded in 1869 under the Norcom Electronics Corporation. The company was able to learn everything it can about the market and industry through its decades of operations. Using what the company learned throughout the years, it was able to cater more effectively to the needs and preferences of customers all around the world. Currently headquartered in Ballerup, Copenhagen, Denmark, where most of its major operations are conducted, Jabra operates in the international market by being powered by approximately 5,000 employed experts. From there, the company is able to deliver high quality and innovative audio and sound devices and solutions in the global market. Jabra has focused its efforts and operations in the development and manufacture of high end technologies that can support audio and music needs. The company was able to provide and promote the power of sound, along people to have the best experience possible in music and sound. 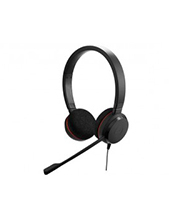 Headsetsonline Pty Ltd has an excellent reputation when it comes to delivering high quality headphones, headsets, speakers, and speakerphones in various conditions, from brand new to second-hand and refurbished conditions. 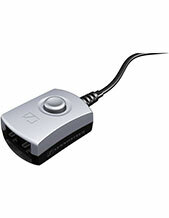 These offers allow the company to cater to all types of customers, including corporation sectors and government agencies. Headsetsonline uses an encrypted secured website that could assure customers that all of their online transactions and payment made in the site remain to be confidential between the customers and the company only. It has a green URL address bar and with the GeoTrust True Business ID with extended validation. The combination of these factors helps in protecting the information of their customers, as well as their online shopping activities. With its roots based on being a department of a popular company responsible for providing headsets to well-known sectors since 1998, Headsetsonline has acquire the expertise and continued the excellence of the company it once belonged to.